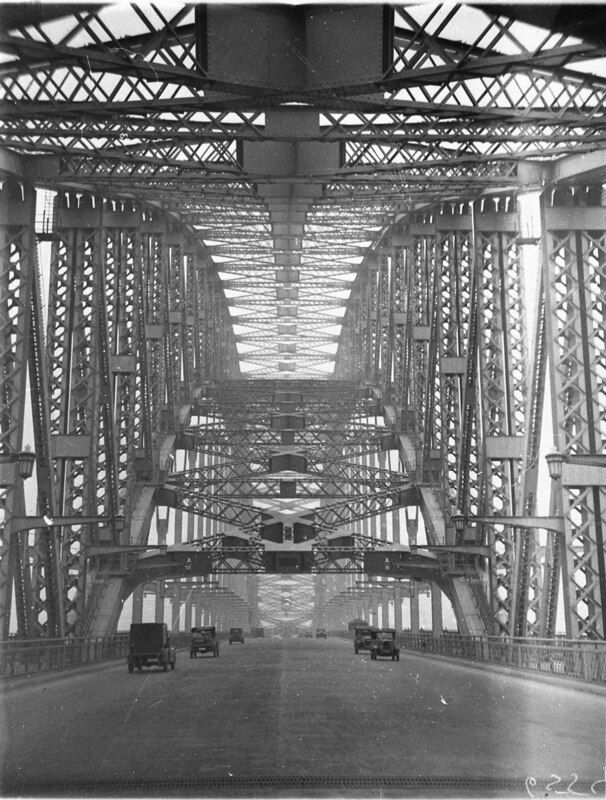 An uncluttered Harbour Bridge! What a fantastic shot! Wonderful perspective. I am not sure if this is looking 'north' or 'south', but here is the 'south' GoogleMapsStreetView goo.gl/maps/QqBN7 . [http://www.flickr.com/photos/statelibraryofnsw] Thanks RW, that makes sense. [http://www.flickr.com/photos/corinneski] I like your photo too - hope you weren't driving! My great grandad was one of the steelworkers who made the structure. This is great to see! I'm now able to compare it to my recent shot ... www.flickr.com/photos/anitawaters/16551783380/ One day mine will look just as vintage!